Nsr Sky Land Mystery Escape is another point & click escape game developed by NsrEscapeGames. 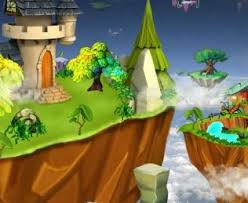 In this game, you are in the situation to find a golden statue in this sky land by finding a key and keeping it on a mystery box. Solve some interesting puzzles with the help of hidden clues. Click on the objects to interact with. Good luck and have fun! Enjoyable. Awful lot of bushwhacking out of doors. doh - how about scroll the inventory...!